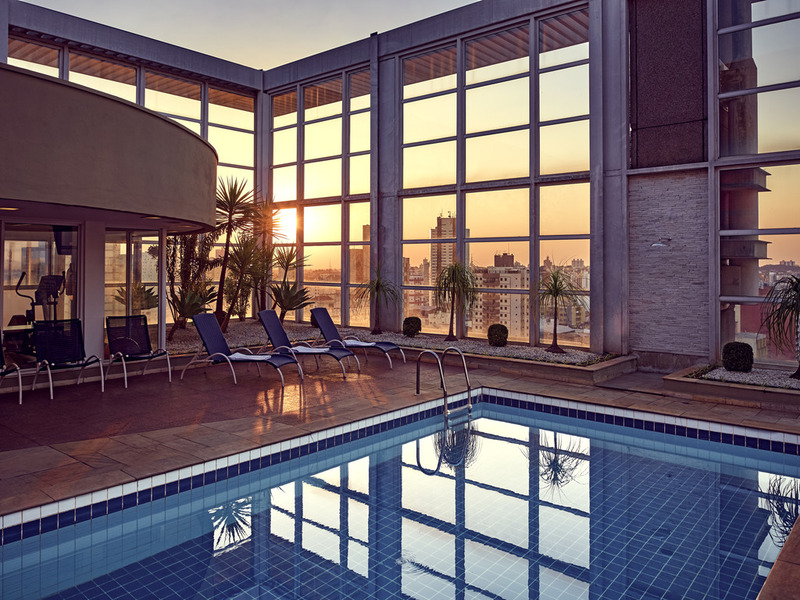 Whether on business or vacation, the Mercure Campinas Hotel offers everything you need to enjoy your stay. Rooms have WIFI, TV and A/C and the hotel features comprehensive event facilities, a restaurant, 24-hour room service, pool, sauna and fitness center. It is located centrally, next to the ibis hotel and just 54 yards from the LiraBus stop, with transport to Viracopos, Guarulhos and Congonhas airports. Just 1.9 mi. from the bus station, 11.1 mi. from Viracopos and 17.4 mi. from Wet 'n Wild water park. The hotel is ideally located in the center of Campinas, 2 miles from the bus station, 11.2 miles from Viracopos airport, 1.9 miles from Cambuí and 54 yards from the LiraBus stop, offering transport to the Viracopos, Guarulhos and Congonhas airports. The Opera Morena restaurant serves varied, contemporary cuisine, with regional and international dishes created by Chef Mari Turchetti, and also offers an excellent selection of wines and beers from around the world. The Opera Morena lobby bar serves a range of national and international drinks, including craft beers, cocktails and traditional Brazilian caipirinhas. Check out our snacks and appetizers menu! Open from 3pm to midnight, and until 11pm on Sundays.